Canadian OTK importer Pserra Racing was on hand at the recent Formula Kart Productions Florida Winter Tour (FWT) to start off their 2013 racing campaign. 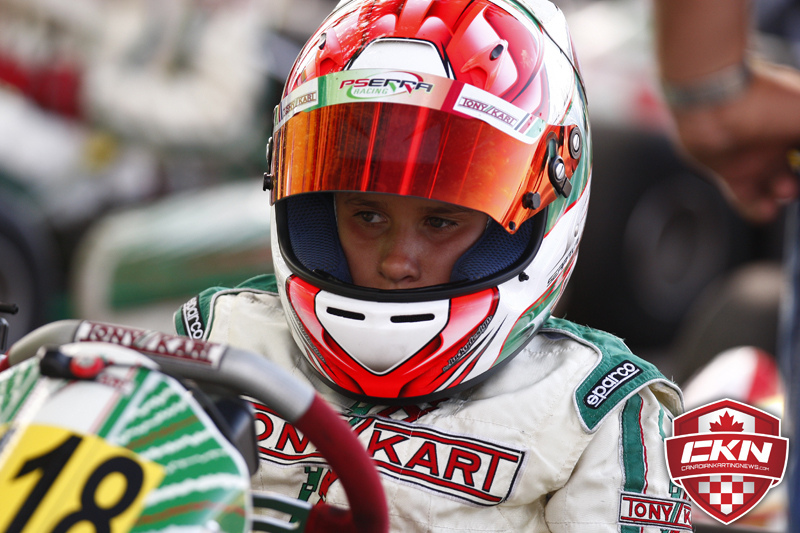 Two team drivers would utilize the potent Tony Kart chassis and Pserra power, as young guns Antonio Serravalle and new team recruit Jack Doohan ran in the youngest of the Rotax divisions. Changing weather conditions at the Palm Beach International Raceway (PBIR) in Jupiter, Florida put the Pserra team and drivers to the test, with Doohan prevailing under heavy rain to take the race win in his team debut. Australian Micro Max pilot Jack Doohan made the lengthy trek to the prestigious and competitive FWT to compete in his first ever Micro Max event. Son of five-time Grand Prix Motorcycle World Champion Mick Doohan, the young pilot entered the event not expecting to win, but pulled off a triumphant victory in his class, series and team debut. Struggling with the two qualifying sessions on Friday to start official on track action, Doohan would have his work cut out for him with his 29th and 30th place starting positions for the two finals. Once wheel-to-wheel action commenced, Doohan was able to climb from the back of the grid to finish 13th in Saturday’s prefinal. With the heavens opening up soon after, the Micro Max field would endure pouring rain for their main event. Gradually making his way to the lead pack, Doohan swapped the top position lap after lap. Able to hold off the advances of his competitors as the laps wound down, Doohan was able to steer his Pserra/TonyKart to the victory with his tremendous kart control. 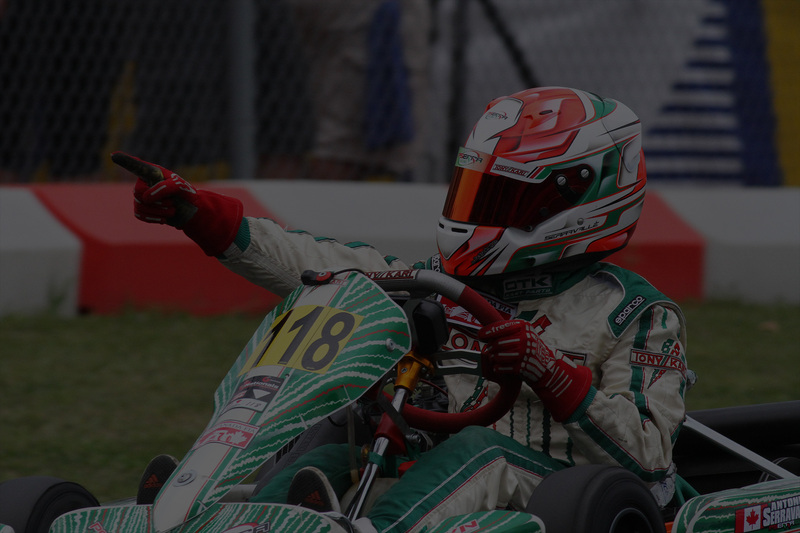 Rising karting star Antonio Serravalle would run into some back luck in the ultra-competitive Rotax Mini Max category. Starting off strong during Friday’s qualifying sessions, Serravalle would clock fifth quick among the field of 43 but fall in the afternoon session to 16th for Saturday’s events. The first prefinal would see the 2012 SuperKarts! USA SuperNationals TaG Cadet runner-up move up to sixth before being disqualified for being outside the measurement limits for the bodywork and rear bumper. Starting from last on the gird, Serravalle mustered up a disappointing 24th place finish. Sunday started out much better for the Pserra pilot, as his fifth place starting position put him in contention for the prefinal victory. Leading the race for a few laps, too much tire pressure put the young Serravalle back to fourth by the checkers. Again plagued by bad luck, Serravalle efforts were derailed in the final when he was taken out on the first corner of the first lap. Behind the eight ball from the start, Serravalle would eventually be classified in the 23rd place. Pserra Racing will resume their Florida Winter Tour efforts when the series continues February 22-24 at the Homestead Karting Complex on the grounds of the Homestead-Miami Speedway.